My family consists of my beautiful wife Lauren, my son Jason (11), my daughters Maya (9) and Selah (2) and our newest addition: Elijah (12 weeks)! We come from Miami, FL, where we’ve lived the past 4.5 years. 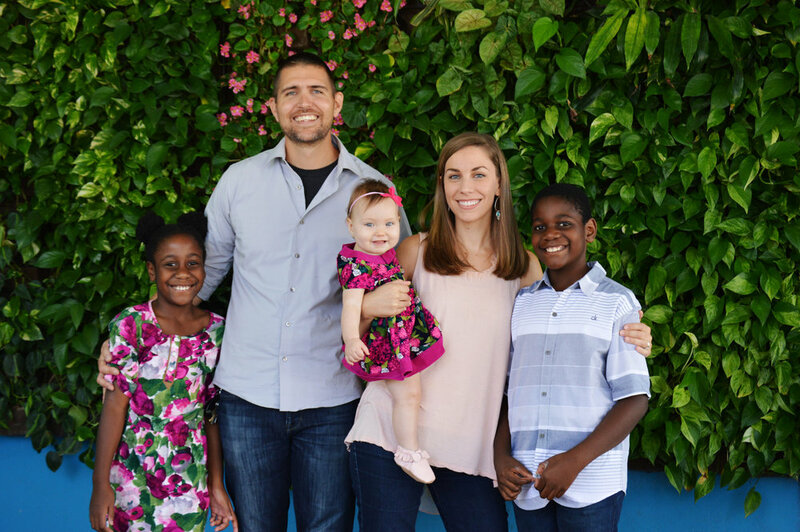 Lauren and I moved to Miami in 2013 in order to plant a gospel-centered church in the heart of an inner-city neighborhood called Little Haiti. Little Haiti is a very diverse neighborhood filled with folks from all over the world… It really is a foreign country with a US Zip Code! During our time in Little Haiti we saw folks come to Christ, come back to Christ, and mature in their faith. We saw God do extraordinary things! Toward the end of our time in Miami, God began to make it clear to Lauren and I that it would be a huge kingdom win if we merged our small church with another church plant that was making incredible inroads in our city. We merged our church in March of 2018 and I began looking in earnest for another church to serve at. Providentially, I sat next to Adam, the campus pastor of Summit’s Gateway congregation, at a conference. We got to know each other, and he shared with me that Gateway Campus was looking for another pastor. I shared with him how I was looking for another pastorate! One thing led to another and God brought us to Summit Church! We are so excited, grateful and humbled to be here! God continues to pour out his tangible grace upon our lives! I’ve talked to several non-Summit pastors since being hired at Summit and all of them have told me how lucky I am to be working here! We definitely agree with this sentiment as we have already begun being loved so well, even before I have lifted a finger. God is doing something special at Gateway! Our desire is to simply step into the work that God has already begun at Summit Gateway and to be faithful stewards of whatever opportunities the Lord gives us to serve his people and our community. Our prayer is that God’s kingdom would come and that his will would be done in Fort Myers as it is in heaven! Looking forward to the journey with all of you!